The Kona Coast on the Big Island of Hawaii is a favorite destination of people who want to swim with dolphins in the wild. Hawaii Big Island hosts open market places with hundreds of merchants selling their hand crafted items under the open sky. These market places are one of the main tourist attractions here. Alii Gardens Marketplace, Long Ears Coffee Company, Kuaiwi Farm, Mountain Thunder Coffee Plantation, Akatsuka Orchid Gardens, Anthuriums Of Hawaii, Hawaii Greenhouse Inc., Panaewa Hawaiian Homelands Farmers Market, Volcano Farmers Market are some of the famous marketplaces. Hawaii’s Big Island has been attracting explorers for hundreds of years with its active volcanoes, lush forests, and culturally unique atmosphere. Everything about this destination makes it a haven for travelers looking to forget their cares and remember what it’s like to be calm, cool, and collected. If you’ve yet to experience this phenomenon for yourself, set your sights on one of the island’s hottest spots for modern day discoverers; Hilo. 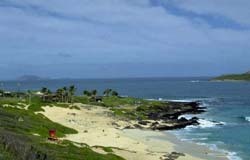 Hawaii Visitor and Convention Bureau - You can learn all about the Hawaii Experience and take virtual tours. N Joy Travel - Cruises and Vacations to exciting destinations including Hawaii.